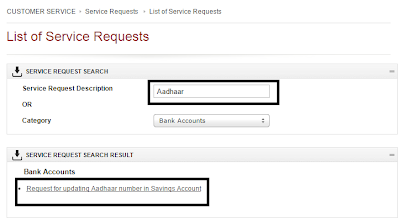 ICICI Bank provides very good feature to update the Aadhaar card online easily. 1. 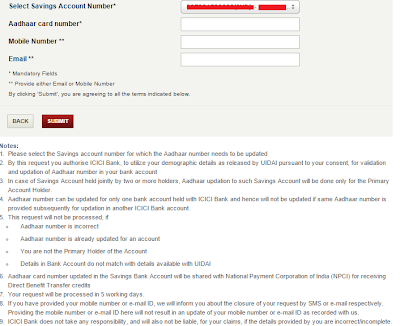 Login to your ICICI Bank account using your login credentials on ICICI Bank website. 2. Click on Service Requests sub menu available in Customer Service menu. 3. 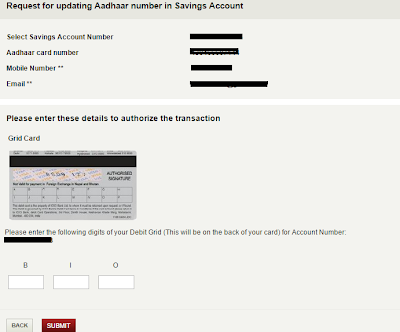 Enter "Aadhaar" in service request description textbox and click anywhere outside of this textbox. 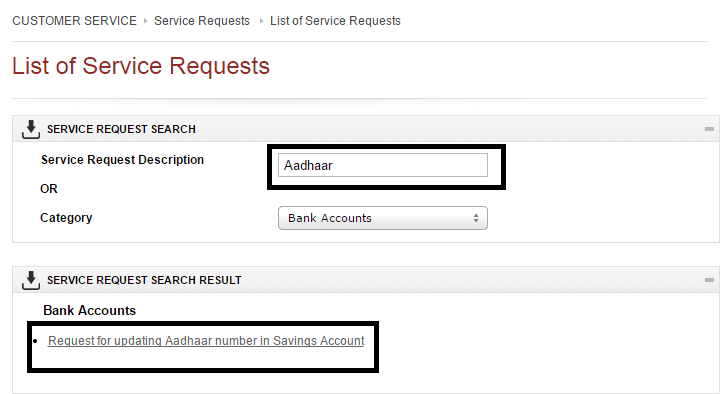 Now a link will be displayed as Request updating Aadhaar number in Savings Account in Service request search result section. 4. Now, select your account number, enter Aadhaar card number , mobile number and email id. 5. Now, Verify the entered data and provide verification code if you are using ICICI Bank grid card and click submit for final submission. 6. 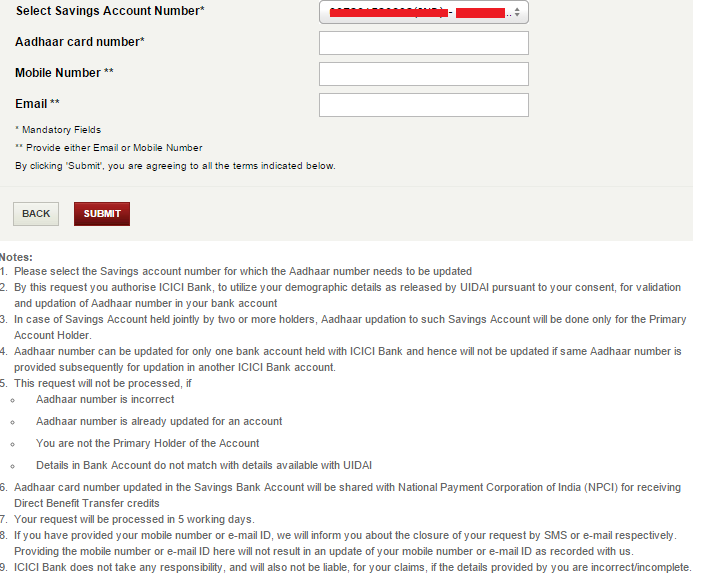 You will get the confirmation message with service request number and date by which your request will be processed.